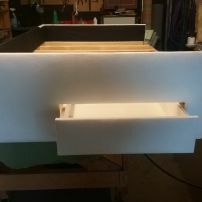 commented on "Upholstered Bed Base with Push Drawers"
Need extra storage why not have us make you a bed base with drawers or struts. Our bases are extremely solid and durable. Available in any height or size you need! Can be covered with vinyl, fabric or leather. Talk to us about your requirements. 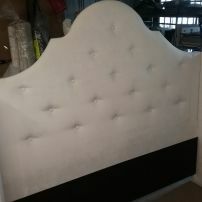 commented on "Custom Made White Bedhead and Base with Drawers"
We can custom make many styles to suit your requirements. All you need is a rough drawing or picture of what you want and we can help you make it happen. Alternatively we have a large selection you can mix & match from.